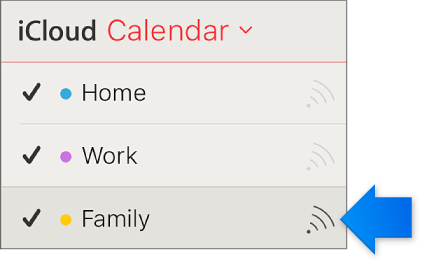 You can share iCloud Calendars both publicly and privately with other people. For specifics about viewing and editing privileges for shared calendars, and how participants can access the calendars, see Calendar sharing overview. Go to icloud.com, log in with your credentials and choose Calendar. Note: You can also share the same calendar publicly. For instructions, see the next task, "Share a calendar publicly." Type the invitee's email address in the Add Person field and press Return. Click the pop-up menu with the invitee's name and choose access privileges (View & Edit or View Only). When you've invited everyone and set their privileges, click OK. Note: You can also share the same calendar privately. For instructions, see the previous task, "Share a calendar privately." The people you specify automatically receive an invitation email that includes the calendar's URL. 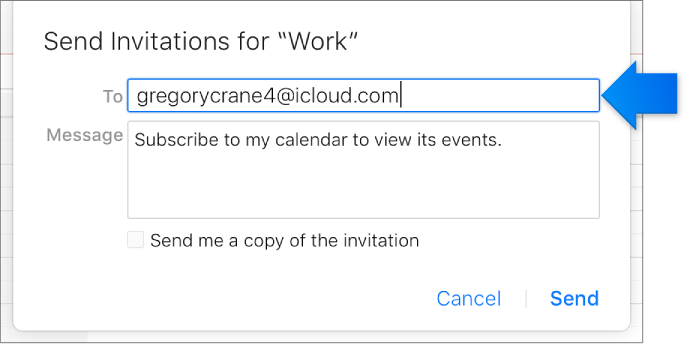 An invitee doesn't need to be an iCloud user to accept an invitation to view a shared public calendar. 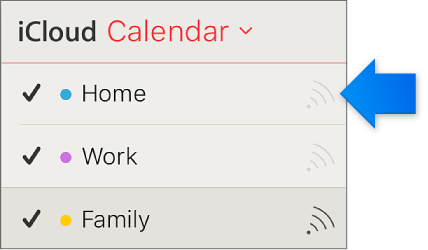 In the sidebar, a shared calendar has a dark Share button. You can also resend invitations to one or more invited participants at any time.